„ Idea Challenge” is a Competition for business ideas, that took place in May. It was organized by Entrepreneurs Club “Start It Smart” at Sofia University. Vanya Osmanlieva is one of the winners. 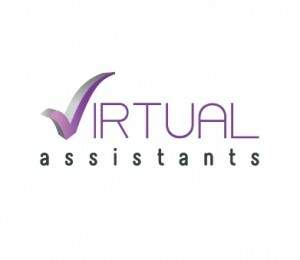 Her idea is related to virtual assistance and services provided by ”Virtual Assistants”. CGArt.bg is represented by Nikolay Mihaylov who is Editor-in-Chief. He is one of the business mentors, who supports this initiative and actively encourages young entrepreneurs. All the winners of the competition have the opportunity to use his services for creation of a professional vision and design of their marketing and advertising materials, as well as overall corporate identity. Vanya Osmanlieva and her idea related to virtual assistance and services provided by “Virtual Assistants”. She changed the design of her website and the vision of her company several times, without any success. For a short period of time, she worked with several designers, which did not help her choose the right direction for having an effective and attractive design and overall vision in a long-term perspective. CGArt.bg supported Vanya to search and find the most suitable designer for her. On the one hand, it is important that the designer understands the specificity of the innovative virtual services, on the other hand – there should be a synchronization between their characters and working manners in order to be able to have a successful long-term partnership. CGArt.bg suggested to Vanya some of the best designers in the network and she chose a few of them. Inquiries were sent to Amity Studio, Dimitar Stefanov, Stoyan Daskalov, Dimitar Petrov, Veselin Dochkov and Svetlana Tsoneva. As a follow up, a few meetings took place. In this way, it was easier to determine whom is the most suitable designer and if the conditions for cooperation were well-balanced and in accordance with the mutual wishes and opportunities of the parties. All of the designers gave evidence of their professional approach but finally only one was chosen amongst them. That is Svetlana Tsoneva from “PixelHouse”. She and Vanya reconciled their partnership and fixed all working terms and conditions together. They already put a successful beginning, starting with the creation of a new logo, business cards and company blanks of the “Virtual Assistants” company. Svetlana Tsoneva graduated at New Bulgarian University, studied specialty “Visual arts – Graphic design” in 2006. She has always been keen on drawing and involved in crazy design projects since she was a child. She was so engrossed in her web design activities that there came a moment when her hobby turned into her profession. In 2008, she created her own studio Pixel House , specialized in website development and graphic design. Her team offers complex services – creation and design of websites, graphic design, creation of corporate identity – logo, blanks, business cards, as well as advertising web banners. All projects created by her studio are unique and depend on the individual needs and requirements of every client. Svetlana and her team already worked together with SDI, Naturpharma, Enthusiast, Grand Optics, Joy Optics, Demax, Baby Mall, Neterra, Virtual Assistants and other companies. CGArt.bg, having the position of a mediator, aims to make communication between designer and entrepreneur / manager easier. On the one hand, there is Svetlana who loves to express herself visually and on the other hand, there is Vanya who needs to be introduced to a certain frame of the working process, that will help them both achieve effective communication and positive results. Scheme, frame and technical specification of the new website of “Virtual Assistants” are being developed and prepared with support of CGArt.bg . That will give a clear direction to Svetlana in her creative work on the website, as well as on all details of the corporate identity. In conclusion, Svetlana has freedom to take care of the best design vision of “Virtual Assistants”, whereas Vanya does not burden her and trusts into her professionalism, opinion and job. The work on this project will continue even more actively in the next few months and we will present the next stages of all activities in a series of articles and video materials. The vision of the new website, as well as all marketing and advertising materials are expected to be prepared before the next round of the competition – „Seed Challenge“ in November. ...saves me a lot of time and efforts, ensures precision of my schedule and maximum comfort for me.